North East Grinding | Starrett Reciprocating saw blades. Bi-metal for cutting wood, metal or plastic. Starrett Reciprocating saw blades. Bi-metal for cutting wood, metal or plastic. A new range from Starrett, our Bi-Metal Reciprocating Saw Blades will slice through wood, metal, plastic, ceramics, fibreglass and other abrasive materials quickly and efficiently. 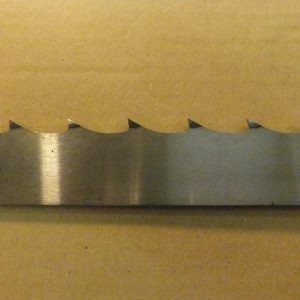 Standard blades are available in a straight, tapered or scroll cut format, the range of tooth pitches ensures that the blades will cut everything from the thinnest sheet steel up to heavy duty steel sections and thick wooden beams. ‘Starrett‘ – Wood, Metal, plastic & King Cut Demolition (for rescue & emergency extrication) Reciprocating saw blades. 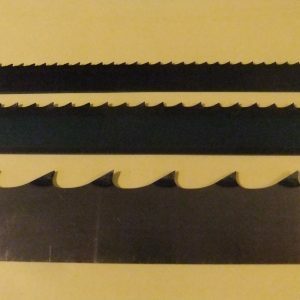 Special purpose bi-metal saws include a blade with a v-tooth form ideal for plaster cutting and tungsten carbide grit blades for PVC, ceramics and other abrasive materials. 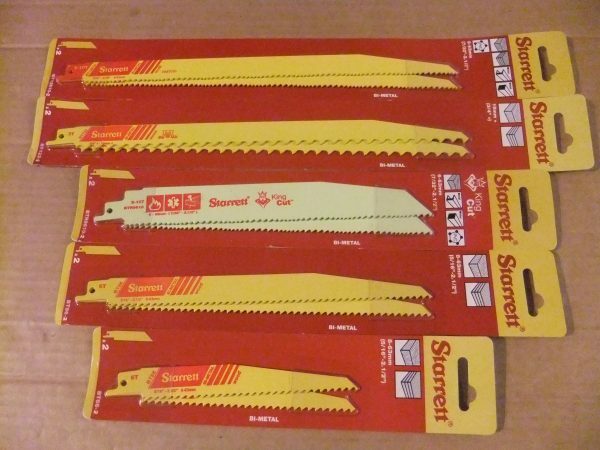 Starrett Bi-Metal Reciprocating Saw Blades will slice through wood quickly and efficiently. Blades are available in a straight and tapered cut format, the tooth pitches ensure that the blades will cut thick wooden beams. Starrett Bi-Metal Reciprocating Saw Blades will slice through metal quickly and efficiently. Standard blades are available in a straight and scroll cut format, the range of tooth pitches ensures that the blades will cut everything from the thinnest sheet steel up to heavy duty steel sections. 88 1/8″ (2240mm) Starrett Duratec SFB (Super Flex Back) Band saw blade for wood, metal & plastic. 144″ (3658mm) Starrett Duratec SFB (Super Flex Back) Band saw blade for wood, metal & plastic.